Following my previous post VMware have just announced a change to the License entitlements to vSphere 5, I know I work for VMware and therefore my view is obviously slightly tainted but I personally think this is a good move and it proves that they do listen and value their customers opinions. So what changes have been made ? VMware have increased vRAM entitlements for all vSphere editions. The amount of vRAM has been capped at 96GB of vRAM, so if your VMs have over this amount it will only count the first 96GB. I know for sure the people with home labs using the free version will certainly be happy about the change from 8 GB to 32 GB but remember this limit will only allow you to use 32 GB of physical memory, not the average usage like other license versions. Also worth a mention is that Essentials and Essentials Plus have a hard enforcement. This is set at 6x32GB = 192GB, this will also be displayed in the report. Just a reminder that also VMware View environments will not be subject to this licensing, for more information view the blog post here. If you are over on the vRAM then don’t panic! There are things you can do which might mean things will still equal out with your current licenses. I have updated the License Validator script to include these new changes, the script will detail each license type and tell you how much vRAM you will be entitled to and how much you currently have allocated (note this is not an average of the last 12 months but will give you a good indication of your current ). This script doesn’t account for linked mode, so make sure you use it against each vCenter and add the vRAM figures (Pooled vRAM Capacity and vRAM Used) together for each vSphere Edition to make sure you entitlements are correct. This script requires vSphere 4.1 or higher. I have added log file which will be created in the same folder as the html file, if you have any issues please email the log file and html result to contact(at)virtu-al.net for further help with the results. Are the script and sample output files still available? I get “File not found” for both. Barry, you know VMware removed vRAM now right? You shouldn’t need this any more as VMware removed vRAM, hope this helps. Thanks Alan. I was simply looking for your Powercli code to see if I could use parts of it for license reporting. is the script still available, I am getting a file not found when I click on the download link. I am having problems with the output. There are no longer any warnings displayed after unblocking the script and ignoring certificates. However the output html is empty and the log file only include All licence info, Host Info and Host Licenses. Any ideas? Running Esxi 5. PowerShell on Windows 7. Your script is too good. I have PowerCLI 5 and ran this script on from one of the VM and also from vCenter server 5. 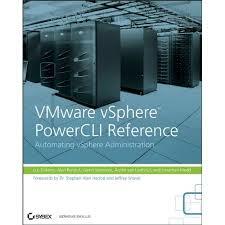 I have vSphere 5 ENT license. But the script did not generate any report. vCenter server is installed in Windows Server 2008 R2. Could you tell me what could be the problem. You state “This script requires vSphere 4.1 or higher.” but it did run and produced results in a v4.0 environment. Should I be concerned the numbers are inaccurate since it’s not v4.1? Also, is there a way to exclude a cluster? We have 3 clusters in our vCenter and I only want license info for 2 of them. It seems that this script only works properly if a v4 license is installed. Is there a way to figure out what my licensing requirements would be if I am using the free version and want to move to the full product? I couldn’t download the script file because of “File Not Found” error. Is it possible to send it to me via an attachment. Thanks for letting me know, should now be fixed. Al, Thanks for the script, it is very nice and useful. Thanks Al. The script is very nice. I appreciate you taking the time to publish it for us. Attempted to download the License Advisor this morning. Getting “File Not Found” error. Thanks for letting me know Jeff, fixed that issue now. There seems to be a Problem when enumerating the hosts. I changed the IP & Hostname of some hosts once, but now the LV tries to connect so the old IP/Hostname. Any Ideas? Micha, If you take a look at the log file (or email it to me) chances are you will have the hosts still down as the original name as you added them to vCenter, this will cause the script an issue as it will try to get the VMs from these rather than the current name, other people have fixed this by removing the hosts and re-adding them, you could also try messing with them in the licensing tab, please do this in your maintenance hours just in case ! Thanks for the updated script! I was doing a presentation today to a group of customers on vSphere 5 and was able to show off your script and intelligently explain the licensing changes. Thanks for the tool in helping out VMware customers understand the impact of the new licensing on their own environments. Thanks for letting me know, thats great news, im glad it helped. Maybe it could be possible to show the assigned VMs of the Advanced licenses in the License Information Breakdown for the Enterprise licenses..
We have a lot Advanced licenses and in vSphere 5 they will be converted to Enterprise licenses. But the script output does only show Advanced licenses in vSphere 4 and in the License Information Breakdown there are no VM assigned to the Enterprise license. This is certainly welcomed news, but it’s interesting when you compare the announced VMware cloud service provider model which is migrating off of allocated vRAM to a reserved vRAM model.